If you are in the process of looking for a diamond for your engagement ring you most likely came across diamond clarity grading. 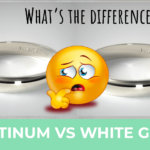 There are about twelve clarity grades ranging from FL (internally flawless diamonds) to I3 (a diamond so full of surface blemishes and inclusions that are visible to the naked eye). 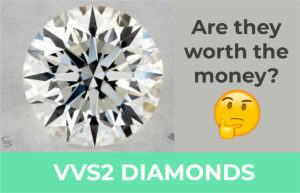 Most people can’t afford an FL diamond and therefore consider a VVS2 diamonds, which are considered eye clean diamonds. What Does VVS2 Clarity Mean? The designation VVS is for “Very Very Slightly Included” diamonds, meaning this rating is an extremely high clarity rating. These diamonds are nearly perfect. With this rating, any inclusions and blemishes would be extremely insignificant and impossible to spot with the naked eye. A highly skilled gemologist would even have a hard time detecting them with a 10X magnifier. This is also the clarity grade where you will find diamond prices taking a massive jump. This is simply due to the scarcity of these very nearly perfect diamonds in nature. When I began working in the diamond industry, I found it difficult to detect any inclusions in VVS diamonds. At the time I was using a simple 10X loupe. But, when I examined the diamonds under a 20-30X binocular scope magnifier I could see the inclusions and blemishes. Once I found the inclusions, I would reduce the magnification down to 10X just to verify my findings. I had a really difficult time trying to grade these diamonds. But, with enough practice I improved and identifying minor inclusions got easier for me. Today, it still takes me several minutes to identify and map out inclusions a VVS2 diamond under magnification. 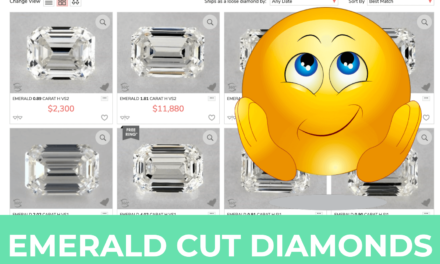 If it is hard for a trained eye to find inclusions in VVS2 diamonds, how could a layman? Even with a 10X loupe, it would be nearly impossible for the average person to find any inclusions. It goes without saying; VVS2 diamonds that are very very slightly included are always going to be eye clean. I am listing three randomly selected VVS2 diamonds here. Please click on the links below to see each listing. 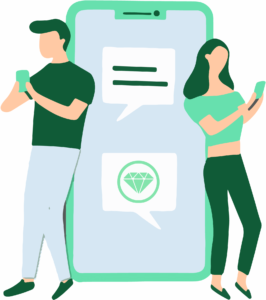 You can inspect the diamonds by interacting with each of the video listings. You can use the zoom function in order to see the actual size of the diamond. Are you able to see the inclusions and blemishes in the 20X photos or the10X videos? I can’t, and I certainly don’t believe you can either. 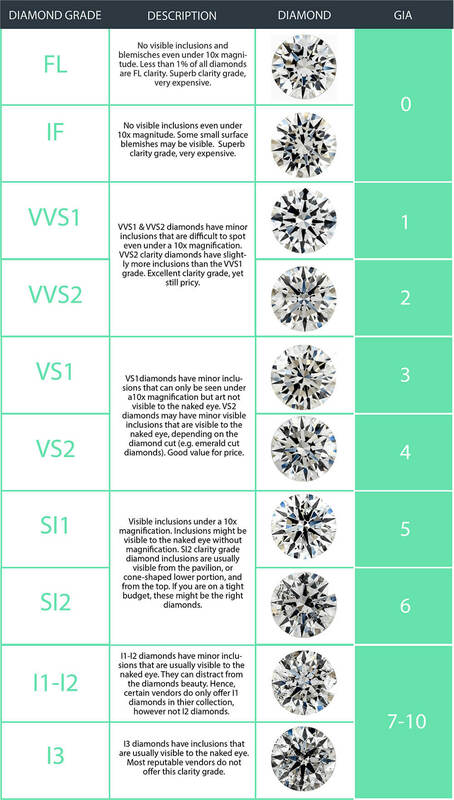 VVS diamonds are so incredibly clean that inclusions and blemishes can only be seen under perfect viewing conditions. Furthermore, you need a highly trained eye plus plenty of experience to have any hope of finding them. Needless to say, detecting inclusions in either grade is extremely difficult. Using your naked eye, you would never see any inclusions or blemishes once the diamond is in its setting. 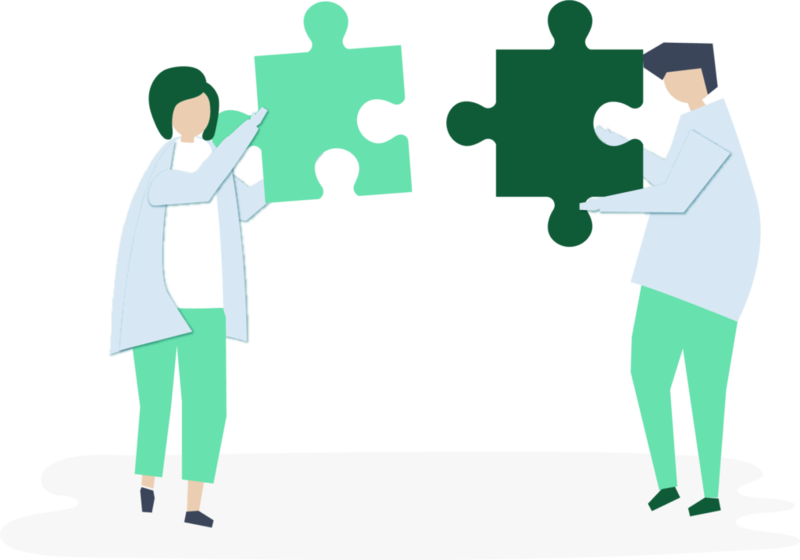 The only differences between the two grades, VVS1 and VVS2, are technical. The difference depends on how evident the inclusions are when inspecting the diamond upview with a 10X magnifier. A VVS1 diamond’s inclusions can only be seen from the bottom (pavilion) side up under magnification. A VVS2 diamond’s inclusions can be seen when inspecting it face up and are usually in the top half. 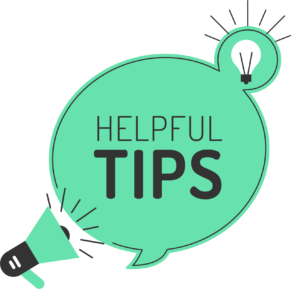 If you have huge VVS1 diamonds of 3 carats or more, some inclusions would be visible when inspecting them face up under magnification. In addition to technical differences between VVS1 diamonds and VVS2, there is a difference in price of about 10%. 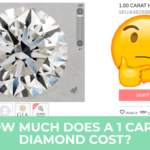 This is because of the rarity factor, making VVS1 diamonds more expensive. 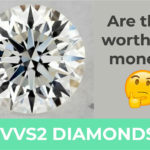 Should You Choose a VVS2 Diamond or Buy a Lower Clarity Grade? 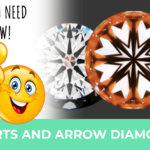 If you were unable to afford a flawless grade diamond, a VVS2 would be a great choice. VVS2 diamonds are so incredibly clean that even a purist can appreciate their beauty and clarity. As we’ve discussed, prices go down as the clarity grade goes down. The idea that diamonds sparkle any less at the lower grades is completely untrue. It’s a total myth! 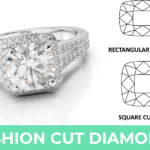 The designation SI1 means, “Slightly Included 1,” so the diamond has inclusions that can be seen under 10X magnification. But, that doesn’t mean you can necessarily see them with the naked eye. 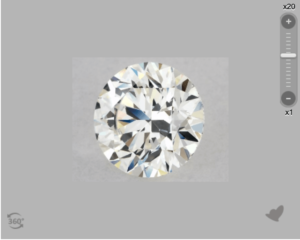 The designation SI2 is a grade down from SI1 and means “Slightly Included 2.” An SI2 grade diamond has inclusions that can easily be seen with a 10X loupe. In fact, you may even be able to see some of its inclusions and blemishes with your naked eye. 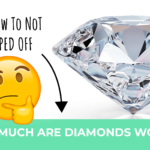 Many people, including some in the diamond industry, believe it’s impossible for SI1 and SI2 diamonds to be eye clean. That’s not true because you can find them if you know what you’re doing. 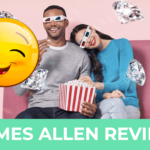 When searching through James Allen diamonds, reduce the 20X magnification down to 2X. 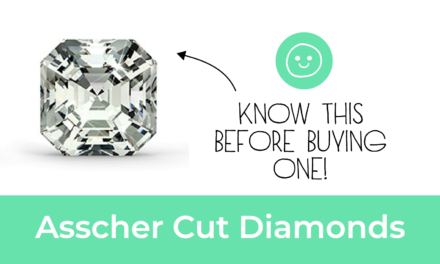 When you do this you are virtually viewing the diamond at nearly its true size. Since you’re viewing it on a computer screen, we recommend 2X magnification. This is a little larger than the actual diamond, but at zero or 1X magnification, you really can’t see anything. View any James Allen diamond at 2X magnification. If you can’t see any inclusions, there is a high probability that it will be eye clean in reality. 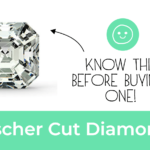 In any case, you should never compromise when it comes to the cut quality of your diamond. 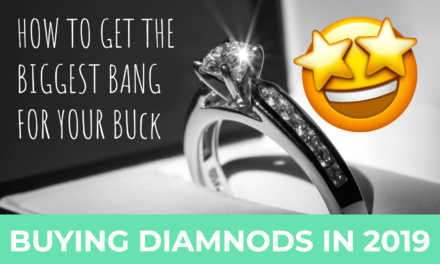 Otherwise, you may not get the bright sparkling diamond you truly want. 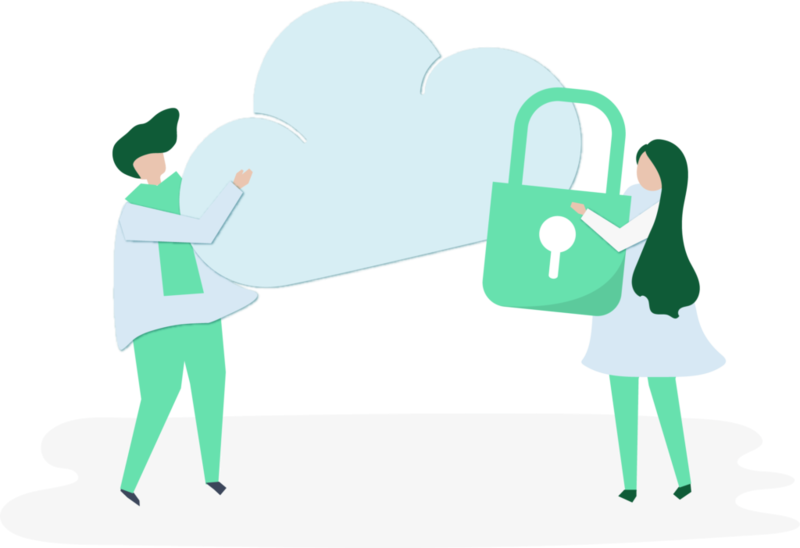 Thank you for reading my blog post. 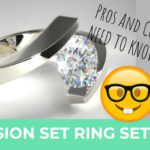 Feel free to check out some of my other articles, such as my cushion cut diamond guide or my ring setting guide. 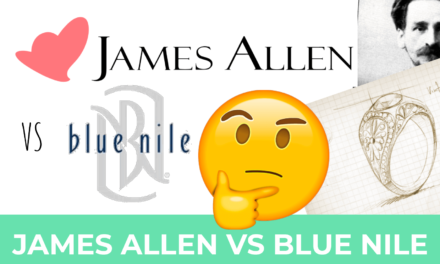 James Allen Vs Blue Nile – Which One Is The Better Choice?